This randomised controlled study that was conducted in Gisborne, New Zealand shows the impressive improvements in obesity, and diabetic parameters with a Whole Food Plant Based Diet. I met Dr. Nick Wright, Morgan Smith and Dr. Pat McHugh at the plant based medical conference in Gisborne this past January. After listening to the study participants, and the study organisers I am at a loss why a whole food plant based diet (WFPB) is not the first line in treatment for every patient in NZ with cardiac, obesity, and diabetic problems. This programme led to significant improvements in BMI, cholesterol and other risk factors. To the best of Dr. Wrights knowledge, this research has achieved greater weight loss at 6 and 12 months than any other trial that does not limit energy intake or mandate regular exercise. NZ is too far behind the rest of the medical world in NOT using a WFPB diet to treat disease alongside the current pharmaceutical approach or even instead of in some circumstances. Even Physicians in the USA are recommending plant based diets. 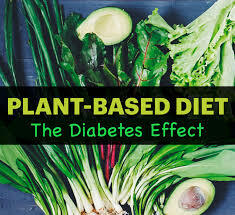 In its 2017 Standards of medical care in Diabetes, the American Diabetes Association maintains that a plant-based eating pattern is an effective option for type 2 diabetes management and encourages clinicians to always include education on lifestyle management. Please check the link out below to view the BROAD study published in the Nutrition & Diabetes Journal.